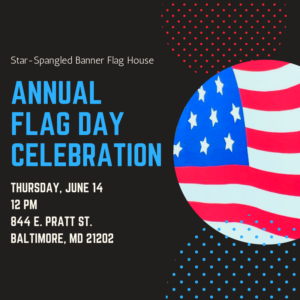 Join the Star-Spangled Banner Flag House and the Baltimore Office of Immigration for a very special Flag Day program and Naturalization Ceremony. 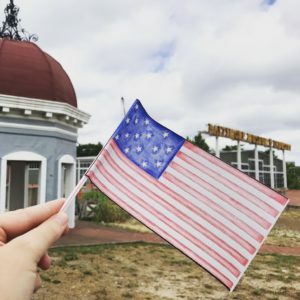 The Flag House will be open to the public for FREE from 10 AM – 4 PM. Tours of the historic house will pause during the ceremony from 12 PM to 1 PM. face painters to animal encounters. Dai Andrews – performed while dangling from a crane! 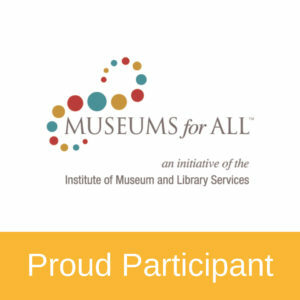 This magical afternoon will feature the National Aquarium, the Star Spangled Banner Flag House, the Jewish Museum of Maryland, Port Discovery and many more! And don’t forget about the door prizes – the festival is free but you’ll have to register for your chance to win. Big Whimsy Stilt Walkers: Look a Giant in the eye, give a high five and have your picture taken with one of the “higher-ups” at the show. Nina and Joffrey delight and amuse as they stroll the grounds. With a magic balloon pouch, they can make you a sculpture, a hat, or even a dog out of thin air! Illya Interactive Circus: a hands-on experience! Hoop, Juggle, Tumble, Spin, and Cavort with Illya and her circus toys. Face painting will be available in between circus play times! performance of strange feats and unusual abilities. Looking for more info? Check out our Festival FAQs! Saturday, June 30 for patriotic crafts. Join us on Saturday, May 19 as we kick off our 10th annual market season! The BMI Farmers’ Market is a great way to spend your Saturday morning. Purchase fresh produce, local meat and eggs, oven-fresh bread and sweets, bright flowers, tasty ready-to-eat treats, artisan items, and more. Family-friendly activities offered throughout the season, as well as a changing schedule of live music and community-interest vendors. The market offers easy access to pedestrians and cyclists, as well as plenty of free on-site parking. Picnic tables are available, inviting visitors to relax by the harbor and visit with friends and neighbors. *The market will not be held on October 20, during the Baltimore Running Festival. Check out the 2018 vendors here. Blue Star Museums is a collaboration among the National Endowment for the Arts, Blue Star Families, the Department of Defense, and museums across America. Each summer since 2010, Blue Star Museums have offered free admission to the nation’s active-duty military personnel and their families, including National Guard and Reserve, from Memorial Day through Labor Day. See the map below or select from the list of states for museums that are participants of Blue Star Museums in 2018. The Flag House is one of more than 2,000 participating organizations.